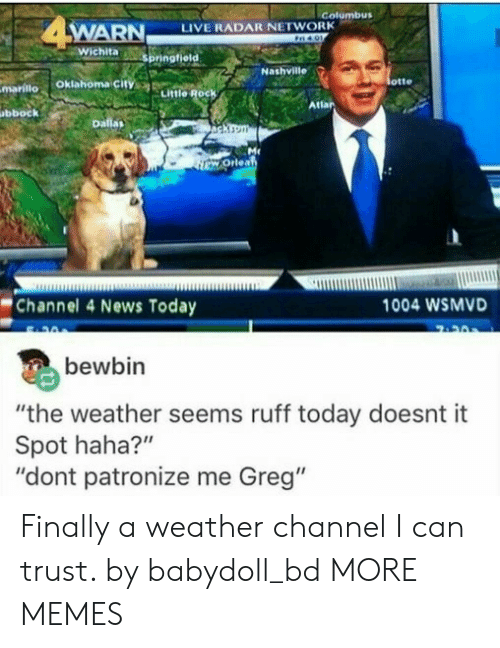 News, Live, and Oklahoma: Golumbus WARN LIVE RADAR NETWORK otte mariilo Oklahoma city Little Rock Atlar bbock Channel 4 News Today 1004 WSMVD bewbin "the weather seems ruff today doesnt it Spot haha?" 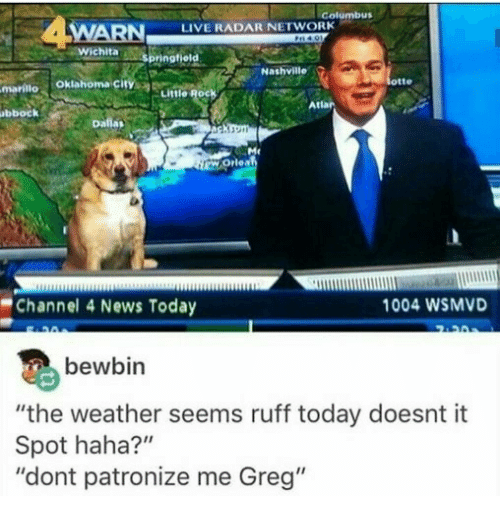 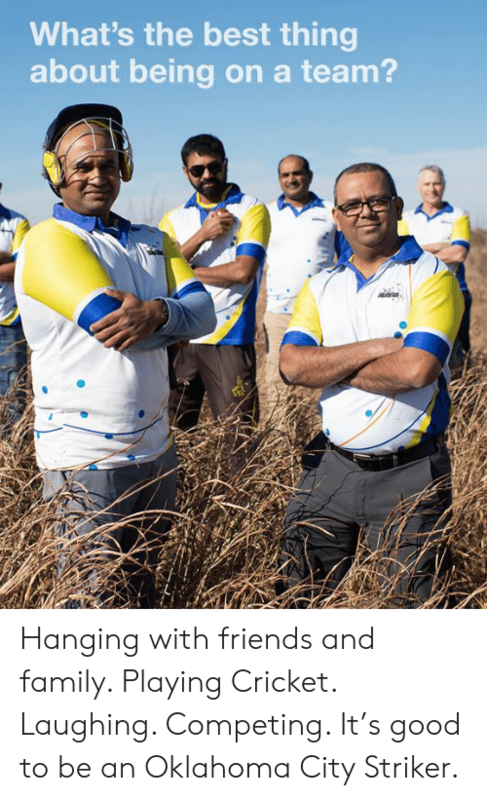 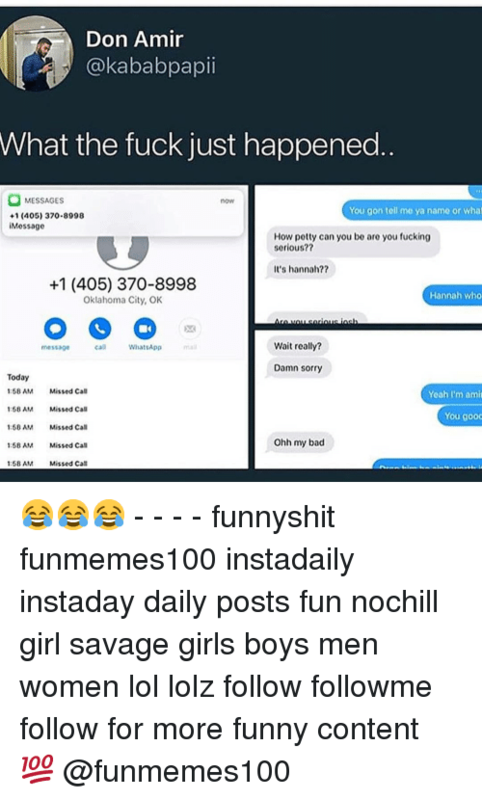 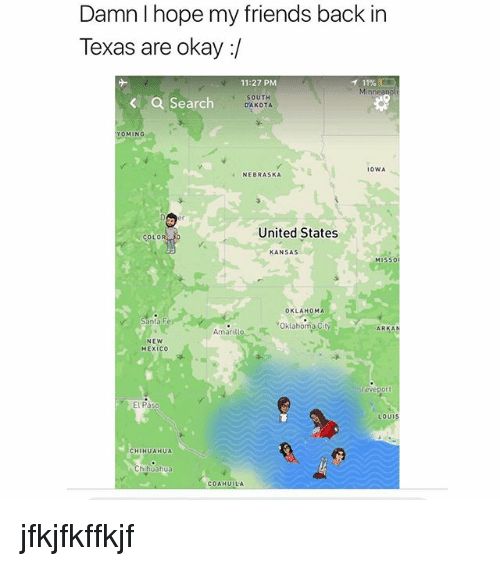 "dont patronize me Greg"
News, Tumblr, and Blog: Golumbus WARN LIVE RADAR NETWORK otte mariilo Oklahoma city Little Rock Atlar bbock Channel 4 News Today 1004 WSMVD bewbin "the weather seems ruff today doesnt it Spot haha?" 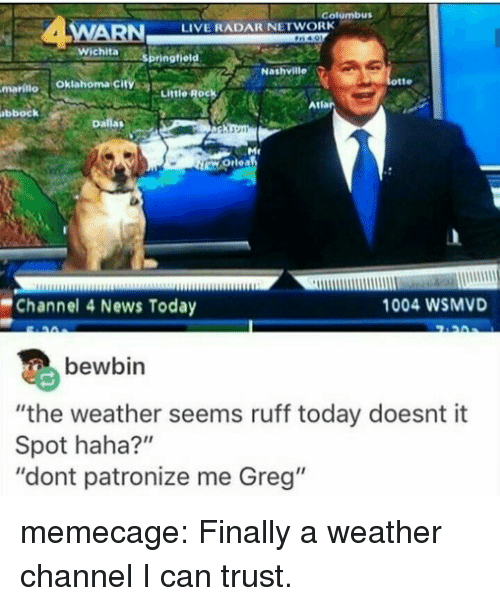 "dont patronize me Greg" memecage: Finally a weather channel I can trust. memecage: Finally a weather channel I can trust. 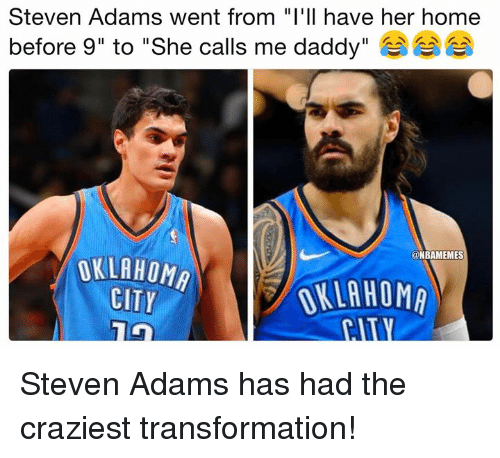 Nba, Steven Adams, and Home: Steven Adams went from "I'll have her home before 9" to "She calls me daddy" @NBAMEMES OKLAHOMA CITY OKLAHOMA Steven Adams has had the craziest transformation! 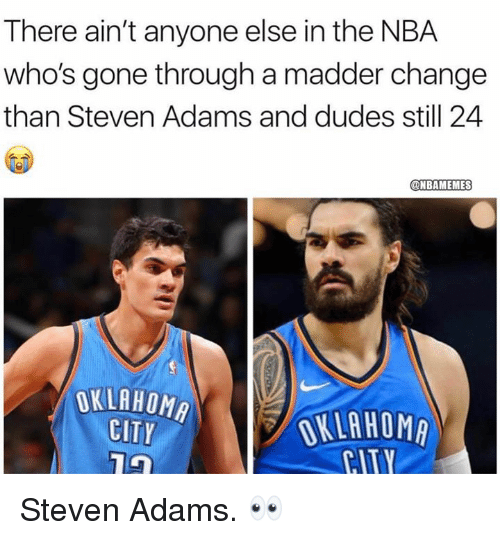 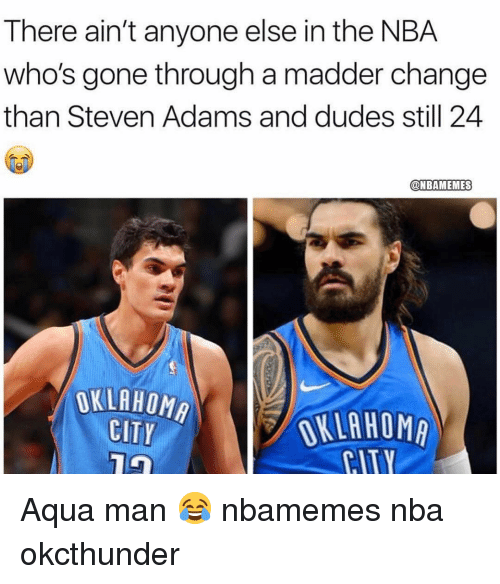 Steven Adams has had the craziest transformation! 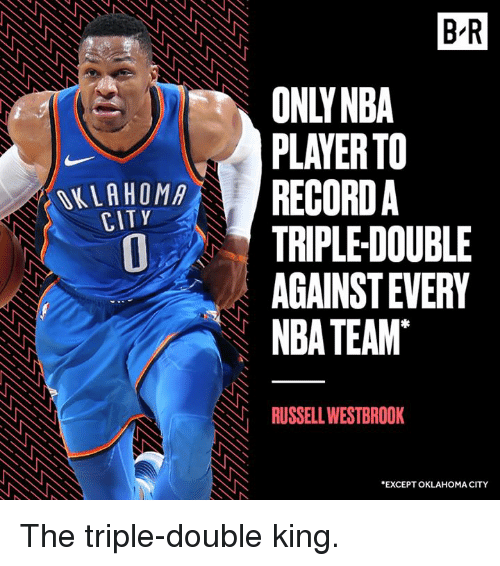 Nba, Russell Westbrook, and Oklahoma: B R ONLYNBA PLAYER TO OKLAHOMAREn CITY TRIPLE DOUBLE AGAINST EVERY NBA TEAM RUSSELL WESTBROOK EXCEPT OKLAHOMA CITY The triple-double king. 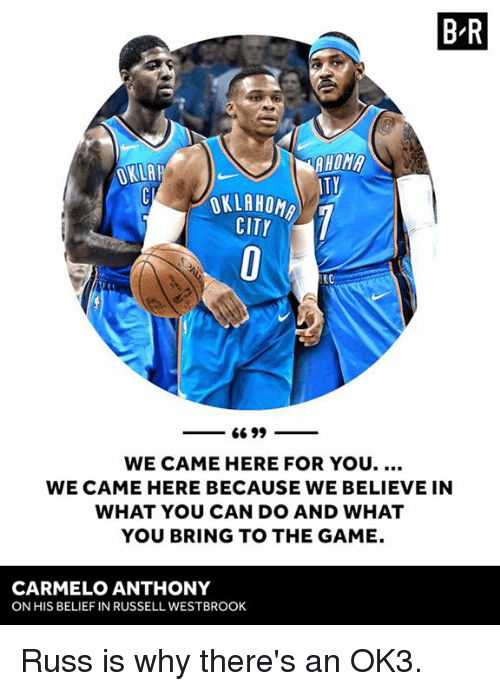 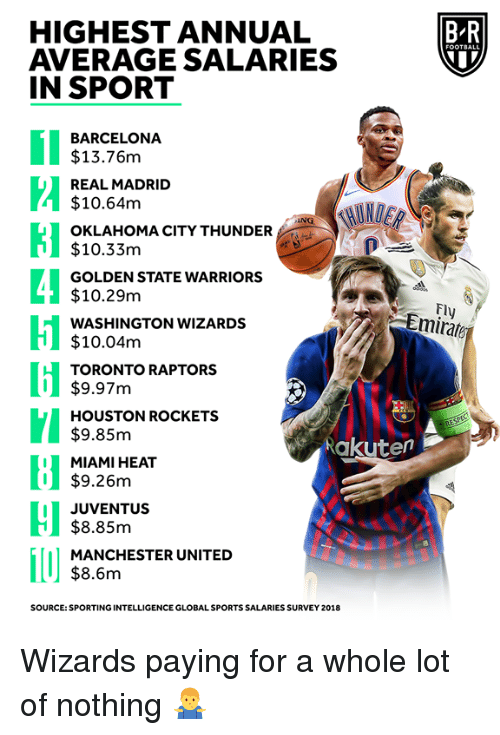 Carmelo Anthony, Russell Westbrook, and The Game: B R OKLA AHOM TY OKLAHOMA CITY KC WE CAME HERE FOR YOU.... WE CAME HERE BECAUSE WE BELIEVE IN WHAT YOU CAN DO AND WHAT YOU BRING TO THE GAME. 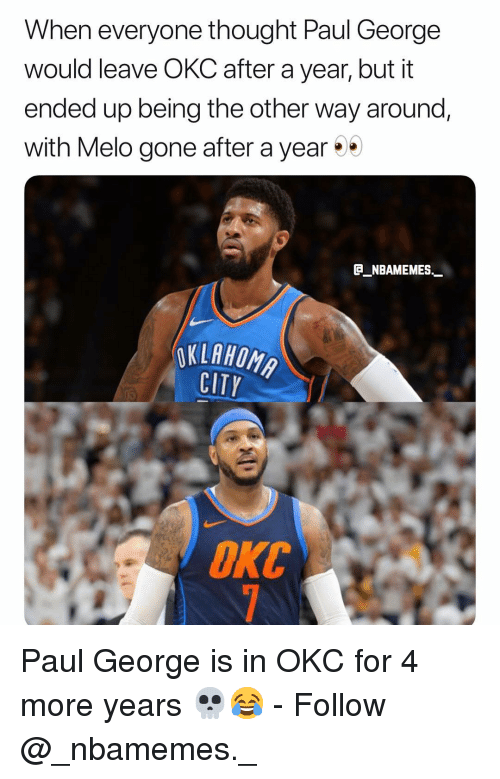 CARMELO ANTHONY ON HIS BELIEF IN RUSSELL WESTBROOK Russ is why there's an OK3. 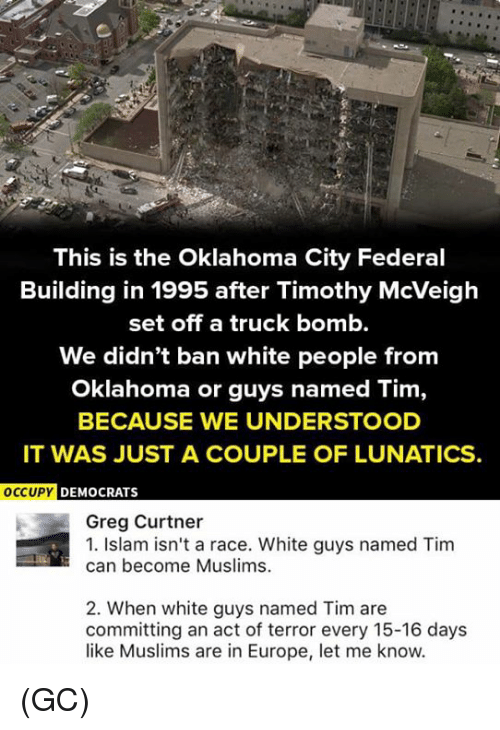 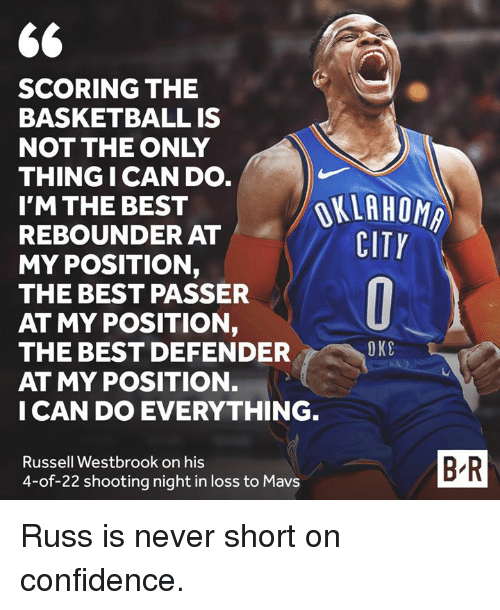 Russ is why there's an OK3. 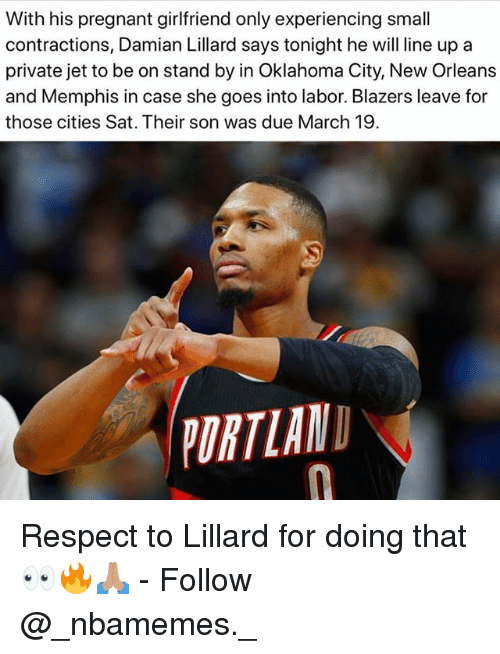 Family, Future, and Sports: THANK YOU FOR ALL THAT YOU'VE BEEN FOR MY FAMILY ANDI!. 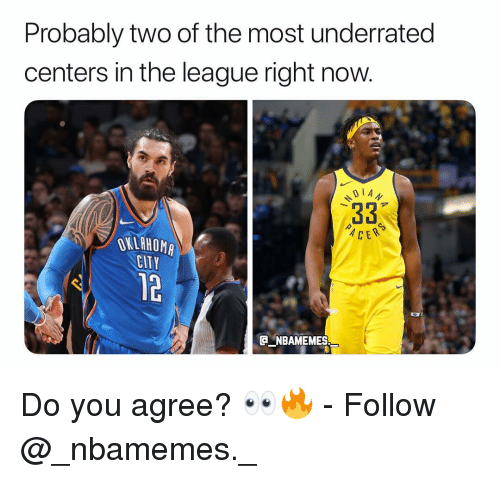 INDY YOU'LL BE IN GREAT HANDS WITH THE FUTURE! 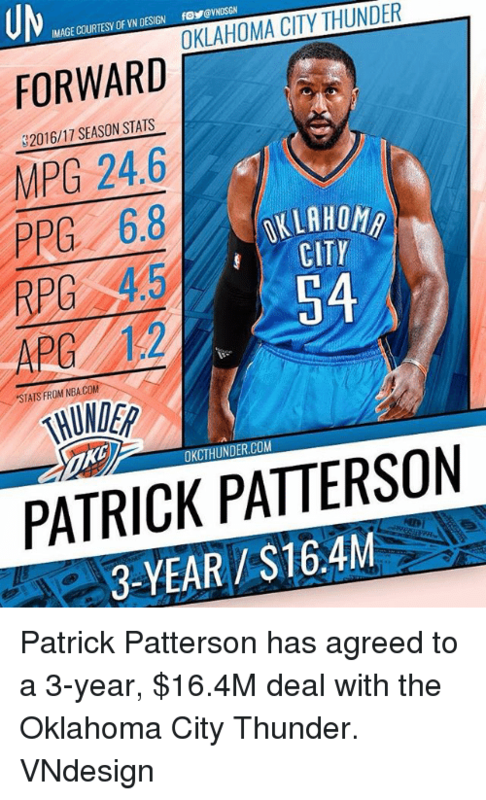 PAUL GEORGE AFTERBEING TRADED TO OKLAHOMA CITY 13 B-R PG says goodbye to Indiana. 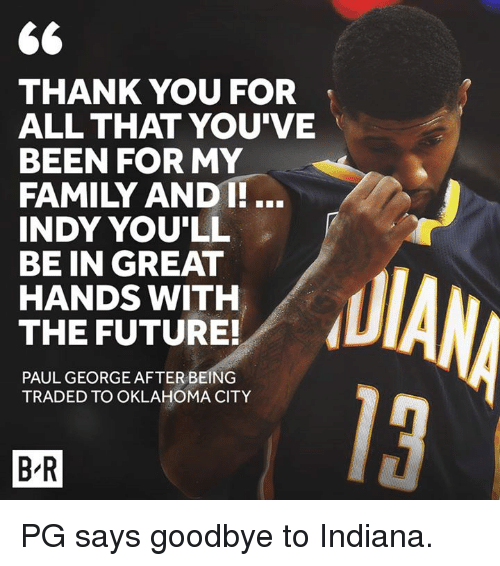 PG says goodbye to Indiana. 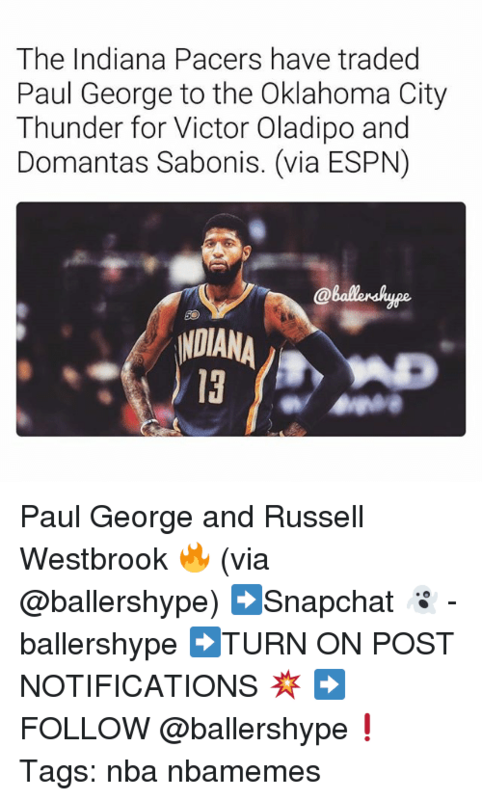 Family, Future, and Paul George: THANK YOU FOR ALL THAT YOU'VE BEEN FOR MY FAMILY ANDT!... 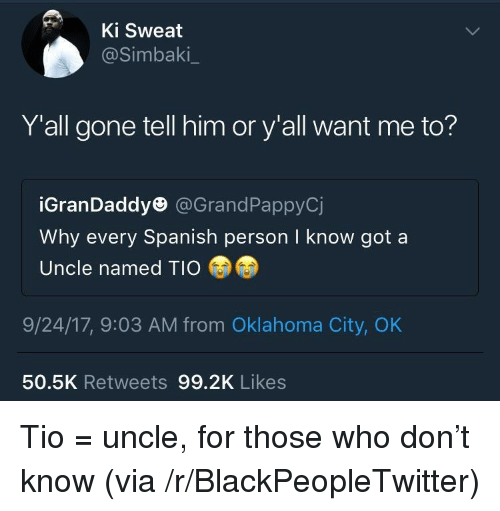 INDY YOU'LL BE IN GREAT HANDS WITH THE FUTURE! 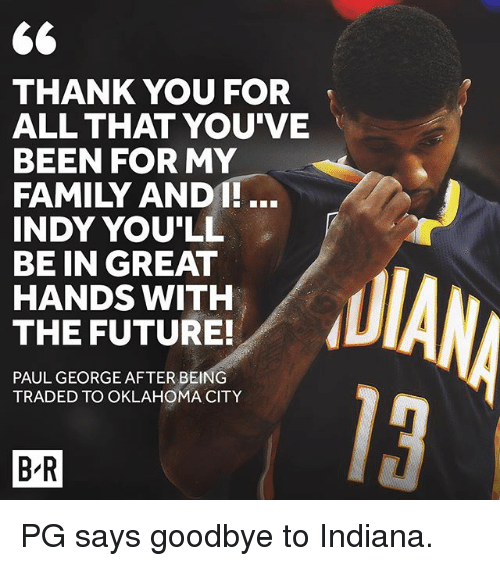 PAUL GEORGE AFTER BEING TRADED TO OKLAHOMA CITY 13 B-R PG says goodbye to Indiana. 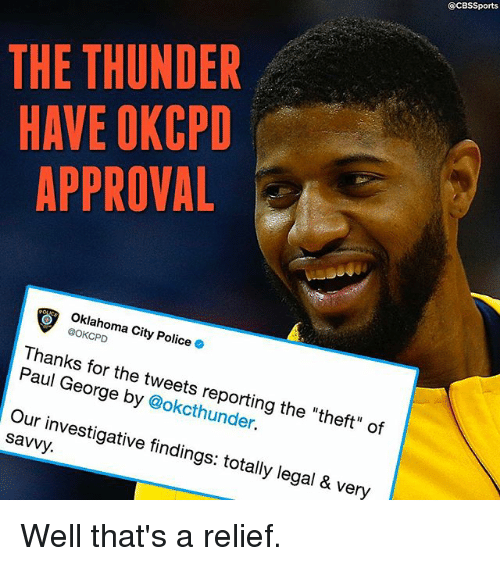 Memes, Police, and Paul George: @CBSSports THE THUNDER HAVE OKCPD APPROVAL Oklahoma City Police . 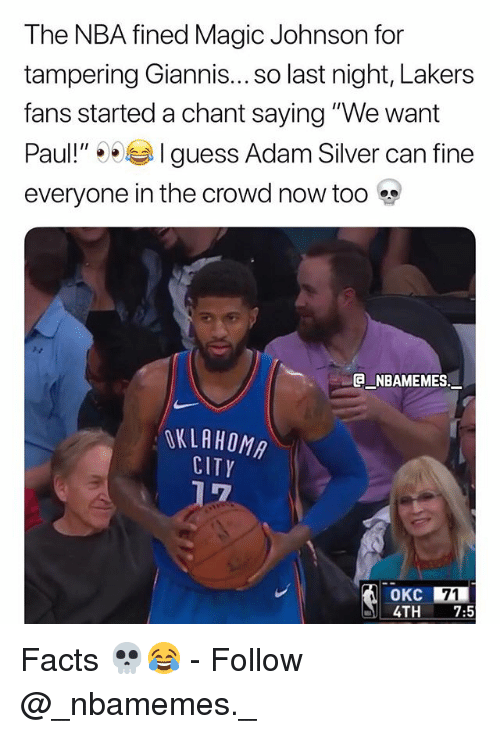 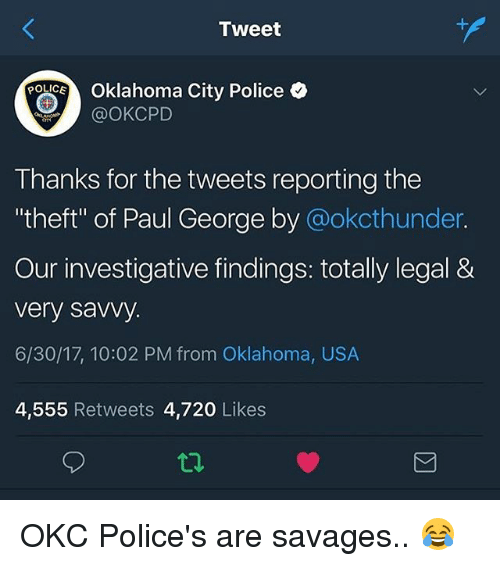 @OKCPD Thanks for the tweets reporting the "theft" of Paul George by @okcthunder. 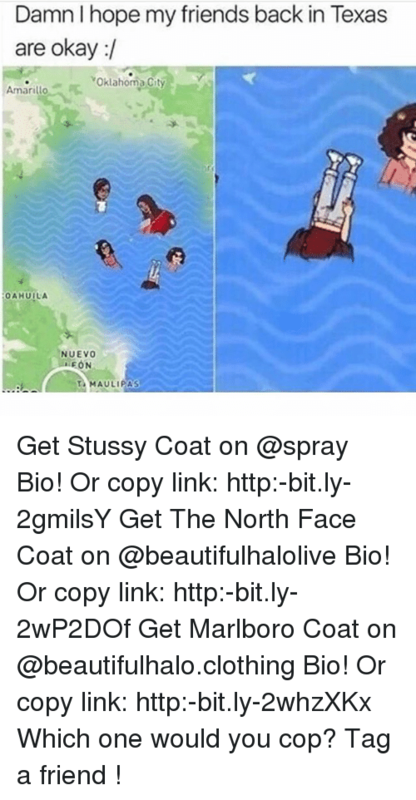 Our investigative findings: totally legal & very savvy. 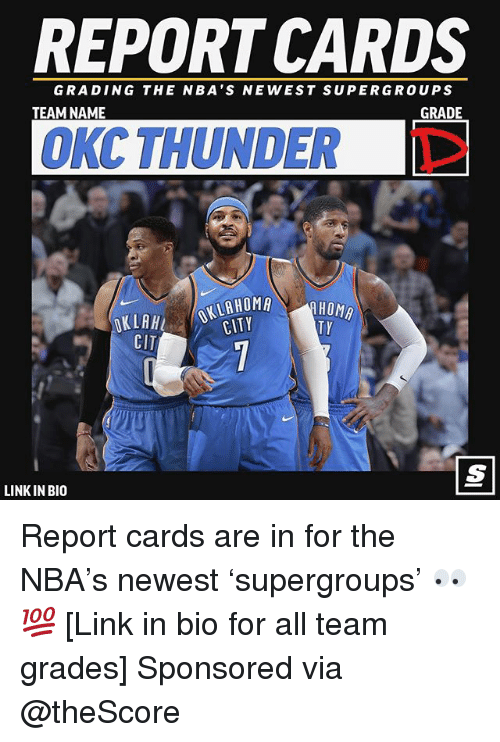 Well that's a relief. 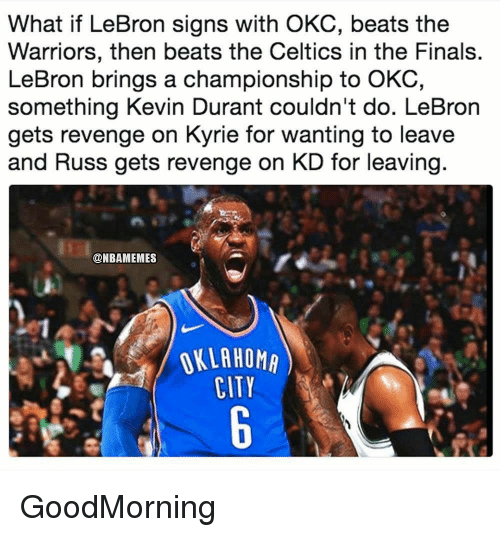 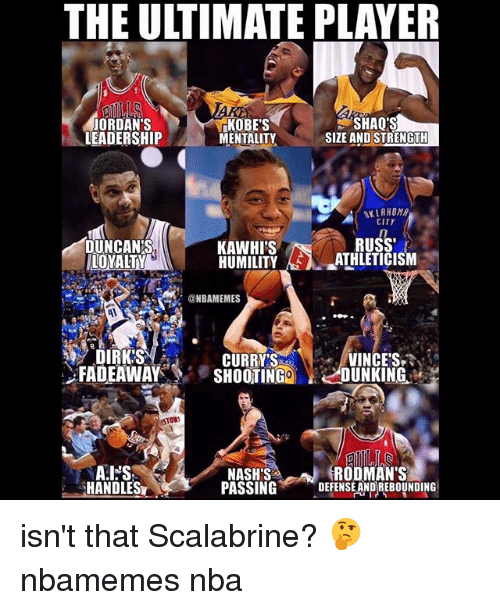 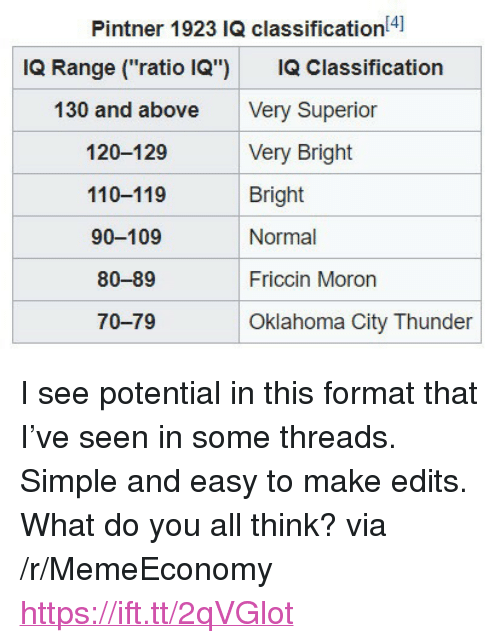 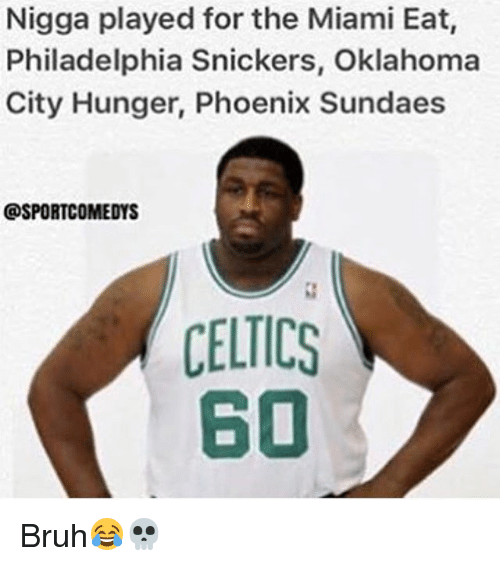 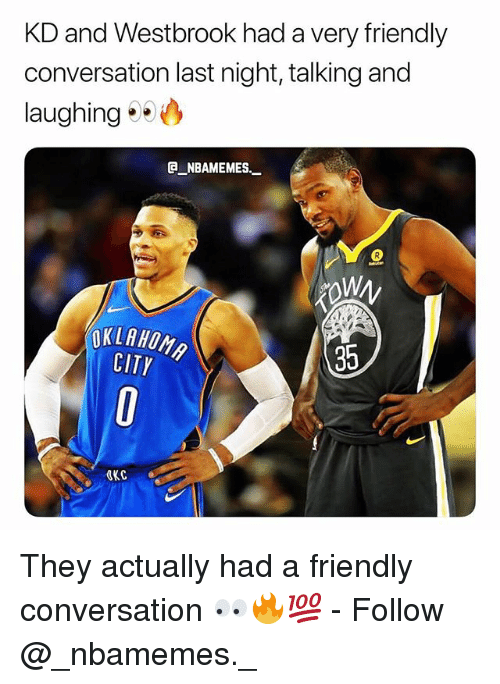 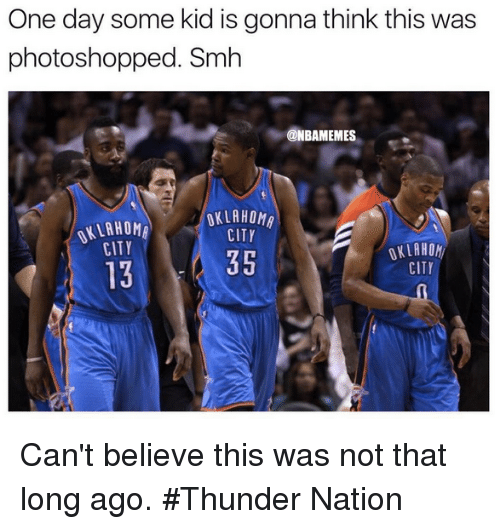 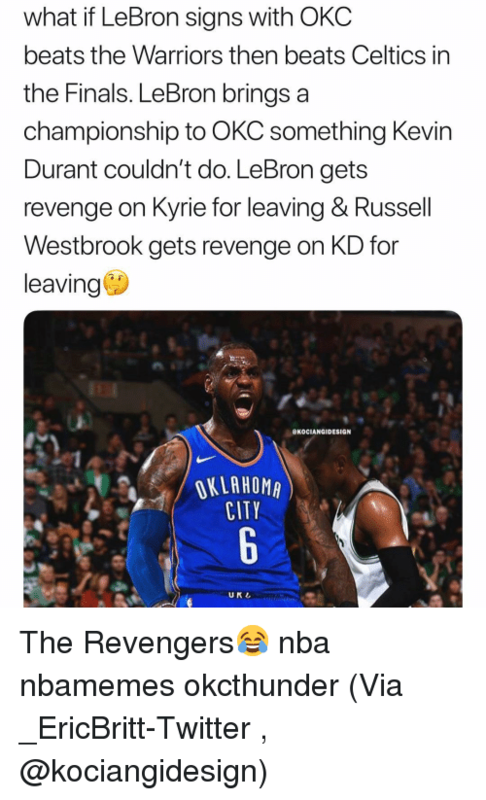 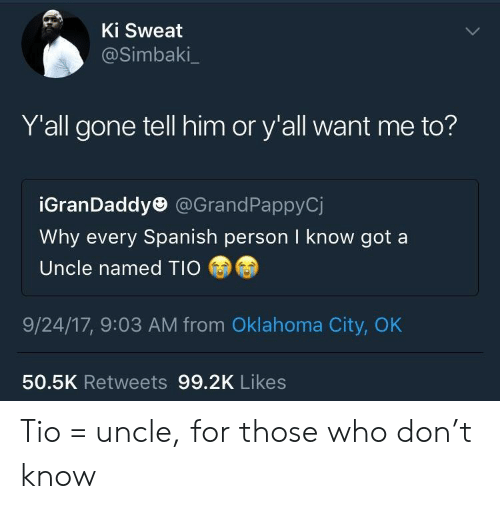 Memes, Nba, and Oklahoma City Thunder: NBA. 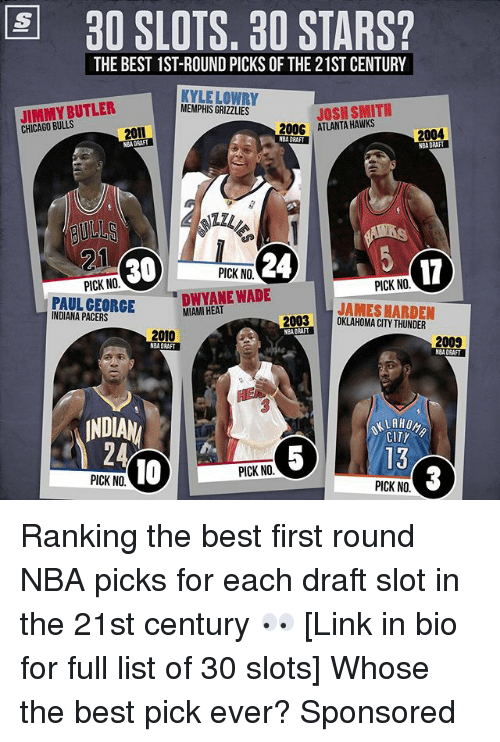 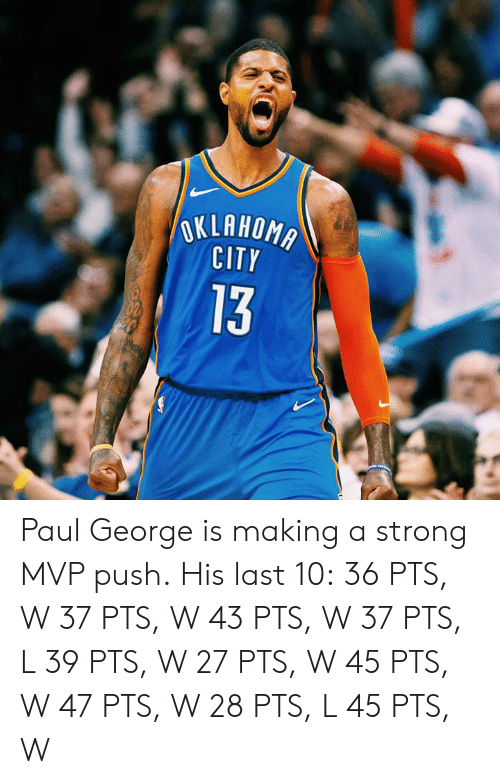 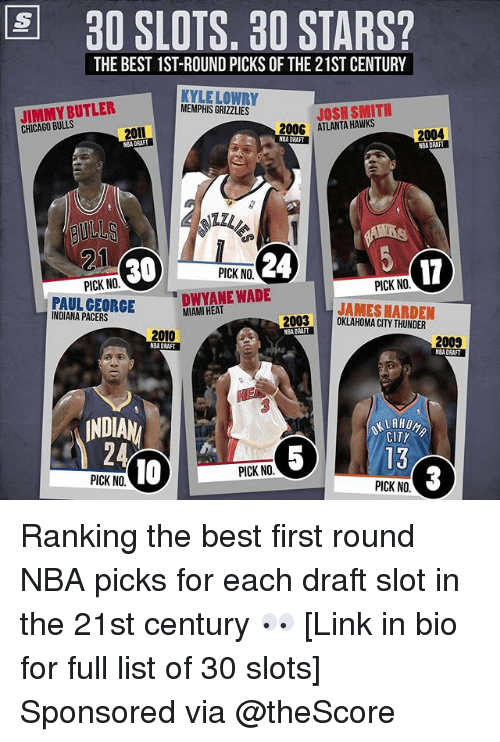 HOME SCORES STANDINGS SCHEDULE NBA DRAFT TEAMS Report: Paul George traded to Oklahoma City Thunder before free agency starts The West is gonna be WILD. 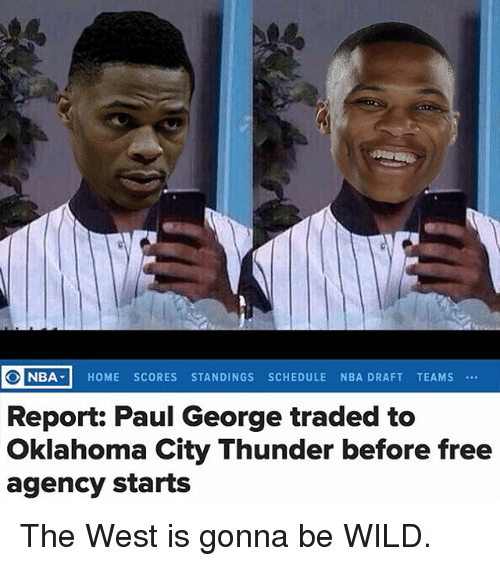 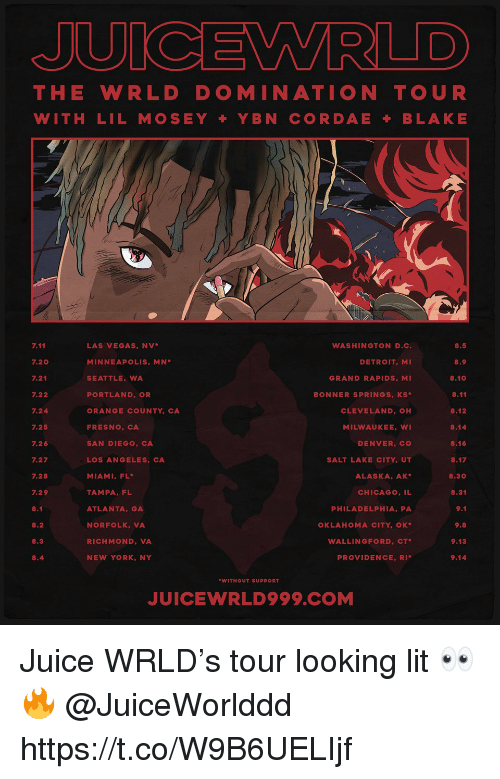 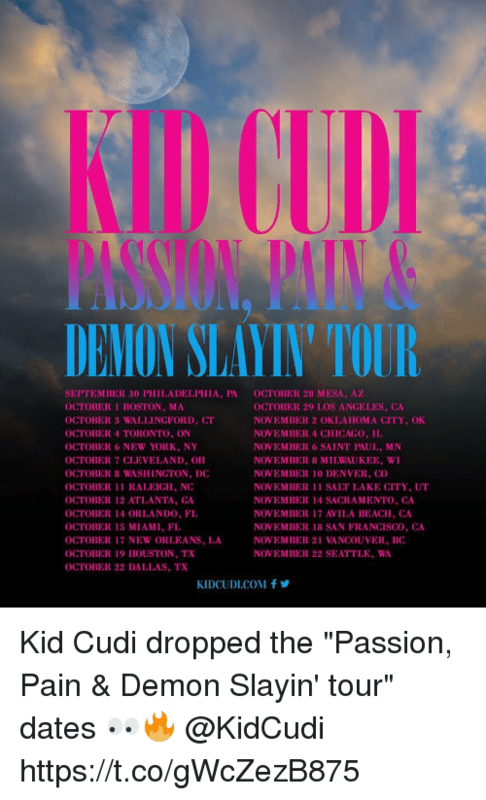 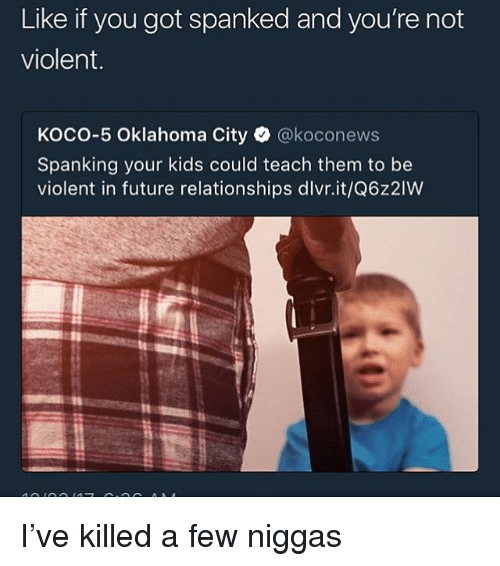 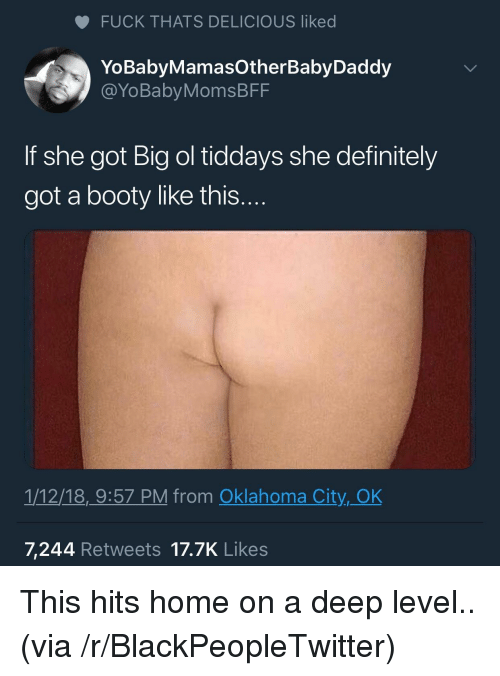 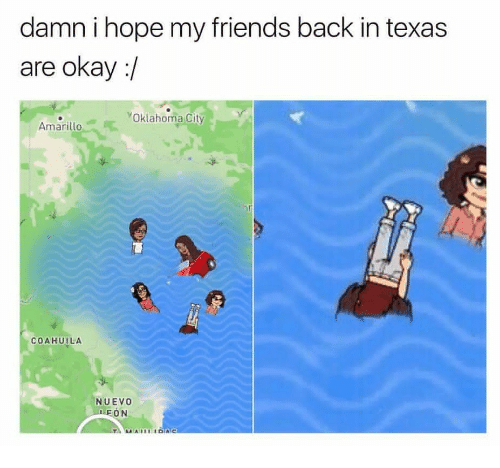 The West is gonna be WILD.